Back in stock, High Dive Records The ACB’s ‘Little Leaves’ 12 vinyl LP and The Fog’s ‘Darkness USA’ cassette. Also, we are carrying the new release from Bummer, ‘Spank’ on 10″ vinyl and limited edition cassette. Check out some tunes from The ACB’s, The Fog and Bummer, below. We are now stocking High Dive Records artists. 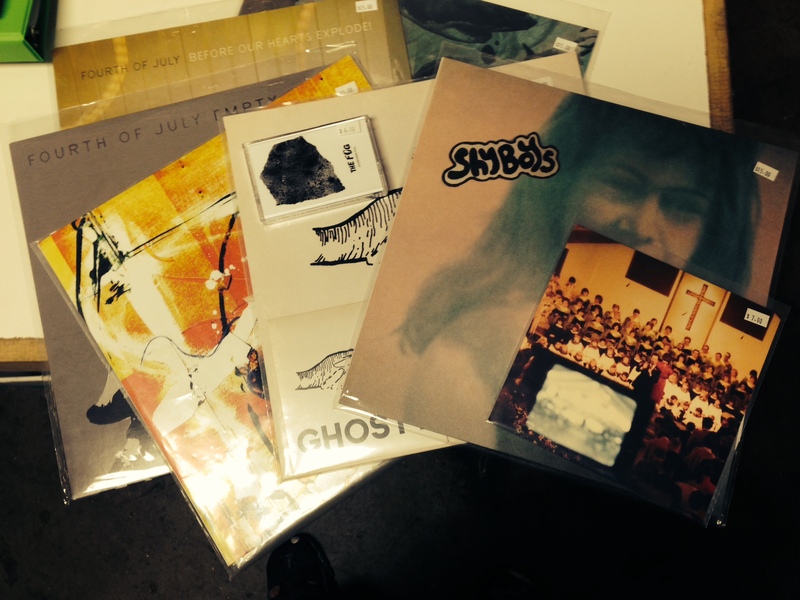 We have Ghosty, Shyboys, The ACB’s, Empty Moon, Fourth of July and The Fog (on Cassette!). Thank you Jeff for adding to our local artists selection.